The new console from Microsoft, which we do not yet know the name, will be unveiled on May 21 and will take over from the Xbox 360 and its 70 million copies sold. She was known as codename "Durango" since the beginning of the year, but the future of Xbox Microsoft will show its true face - and his real name! - 21 May. So many rumors have circulated on behalf of the new console, which should (it is almost a certainty) integrate more deeply the Kinect sensor, enhanced for the occasion. The launch of this console will be made by Redmond Don Mattrick, head of Microsoft's gaming division. 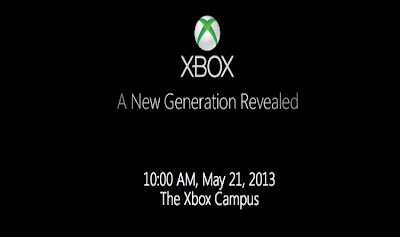 It will be "the beginning of a new era of games, television and entertainment," reads a blog Xbox. "It will be possible to play by moving a single finger in the air and the field of view of the console will be expanded so that it identifies the same time, a child and his parents in the same room. This third version of the Xbox will have to take over an Xbox 360 that has worked very well in the world, with 70 million copies sold. It will also face his rival in the field of game consoles and so the Wii U but also the Sony Playstation 4, which was partially revealed.